Largest Auto & Vehicle file in the USA. 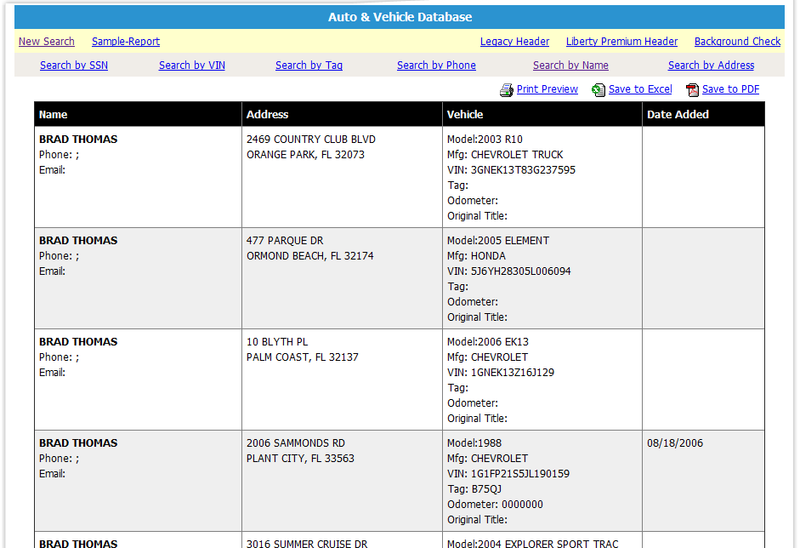 The only file to offer 48 States Searchable and reveal auto make, model, year, & vin data with linked phone & possible email. Compiled from State Registration & Service Center Record.